Florida, Georgia, Alabama, Louisiana, South Carolina, North Carolina, Caribbean, Private Yachts, St Barth, Bahamas, Miami, Miami Beach, Palm Beach, West Palm Beach, Ft Lauderdale, Key Biscayne, Coconut Grove, Fischer Island, Boca Raton, Amelia Island, Naples, Orlando, New Orleans, Atlanta, Charleston, Hilton Head, Charlotte, Savannah, Jacksonville, Asheville, Indian Creek, Jupiter, Palm Beach Gardens etc. Clients and chefs in the Sunshine State warm to Johnny’s dedication and expertise in satisfying their needs. Call (561) 582-6810 Now! 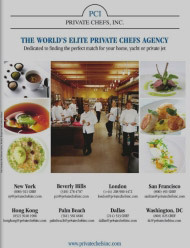 Johnny Kaye expertly takes care of all Private Chefs, Inc business in Florida, as well as any off shore placements on Caribbean islands. Johnny artfully pairs clients and chefs in homes and on yachts. 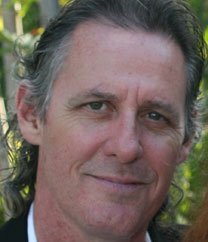 Johnny Kaye is a long-term resident of Palm Beach, he has owned and operated an exclusive Wristwatch & Jewelry store on Worth Ave and is intimately familiar with the ins and outs of Palm Beach society and the south Florida lifestyle. Johnny deals with all clients directly and controls the business aspect of the Palm Beach office.